7. 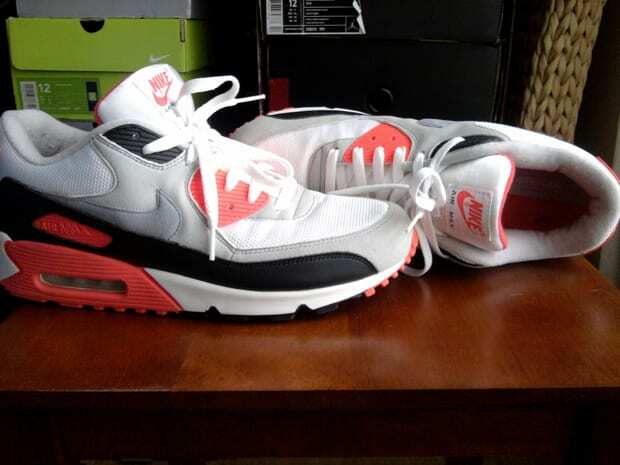 Nike Air Max 90 "Infrared"
Fred says: "No introduction needed for these joints! I had a pair in 8th grade. These made me realize that the shoe u wear ain't just to cover your feet. It's an extension of your personality"